Buck Model 110 Folding Hunter. 4 7/8″ closed lockback. 420HC stainless clip blade. Rich grain wood handles with brass bolsters. Black LEATHER belt sheath included! MADE IN USA. 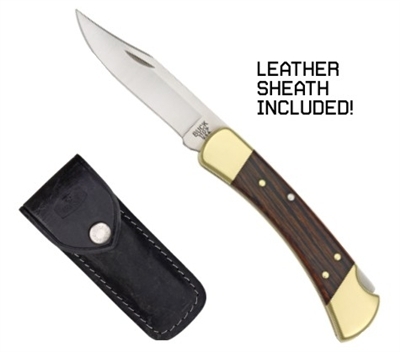 This is a true American classic hunting knife.